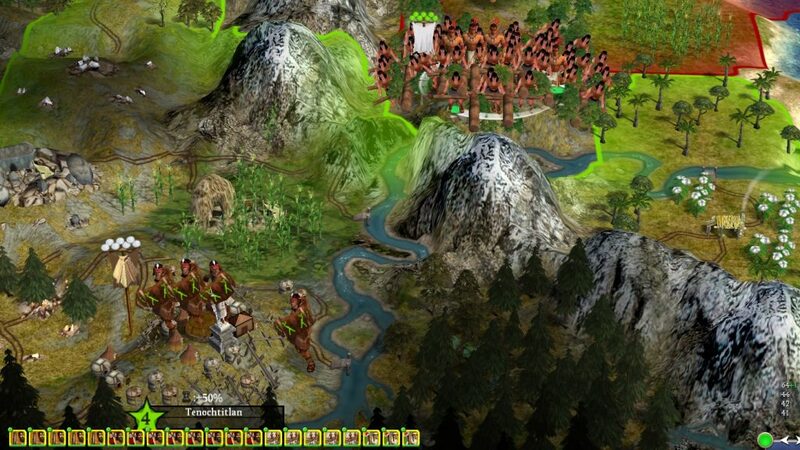 C2C presents a familiar opening setup, on a high level – a military unit to accompany a lone settler-type unit. Most of the map is undiscovered. Look any closer than that, and things start to change a little. You’ll notice much more variety in the landscape due to the additional terrain types. The unit models are different. If you were able to see the opening setup for all civilisations at once, you’d even notice that different cultures have different appearances to account for different phenotypes scattered across the world. The Apache’s North American culture group has an effect on unit appearance. 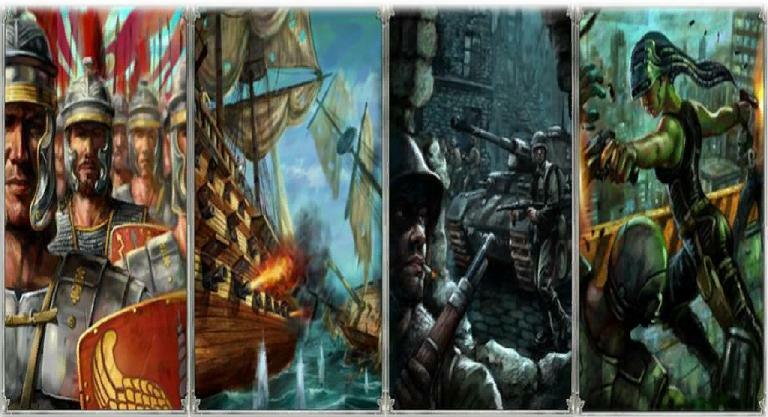 The core gameplay elements remain – moving units, fighting, terrain movement costs, settling, line of sight etc. 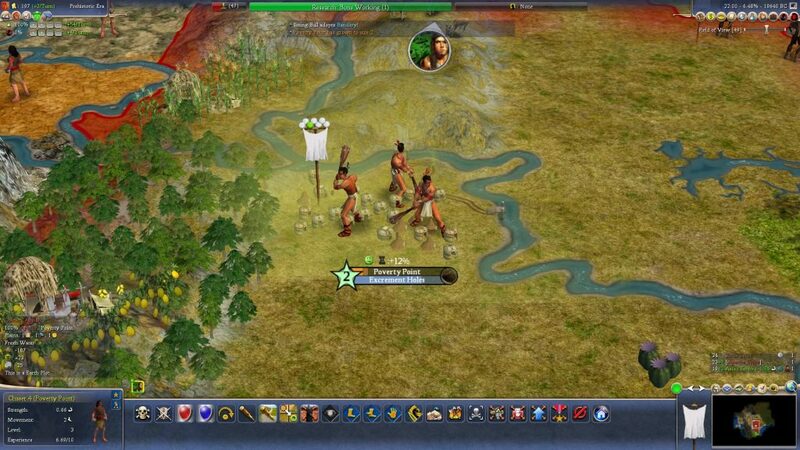 Anyone familiar with Civ IV shouldn’t have trouble getting stuck in and getting to grips with the basics of C2C. What they might notice is that, on founding their first city, it starts off unhealthy. 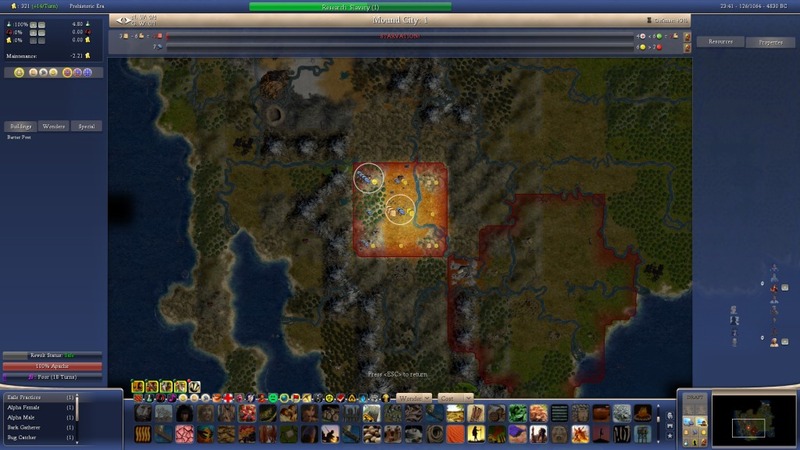 The early game in C2C is wildly different to a normal Civ game with much more of a Man vs. Nature vibe. Your first city starts off unhealthy – your tribe must struggle against the elements to gain a foothold in this environment. 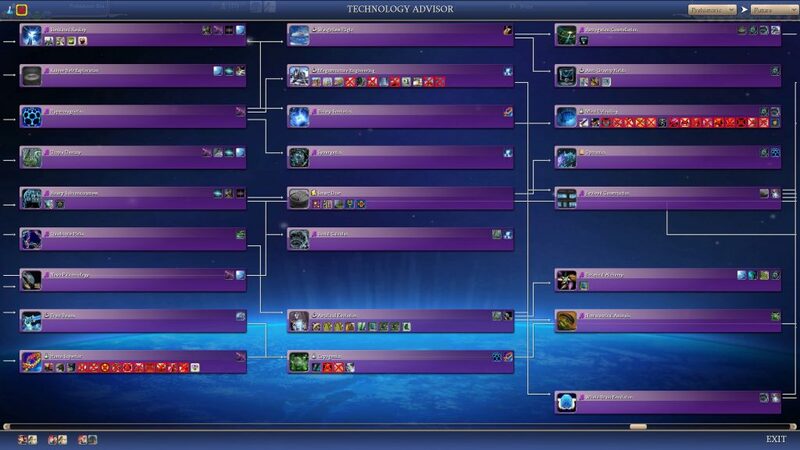 Quite how primitive your civilization is in 50,000 BC becomes apparent when you first look at the tech tree. Among the options available to you are “Language”, “Gathering”, and “Cooperation”; this really goes to the heart of human cultural development, and its something that C2C really tries to capture. Early-game techs really stretch back to the beginnings of humanity’s rise to power on Earth. Contrast this with some of the late-game technologies such as “Utopia Destiny”, “Megastructure Engineering”, and “Whole Brain Emulation”, and you should immediately grasp the immense scope of C2C. Late-game techs elevate your civilisation to the level of technological gods. I quite like this way of progressing technologically; it means that there are unexpected developments along the way, keeping the game fresh and interesting. There’s no way you can learn the tech tree in C2C in the way you can in the base game, so there are always a few surprises. Some of C2C’s new mechanics begin to introduce themselves to you at this early stage. Amongst them is the leader development system; leaders start off totally neutral, traitless, and ready to learn as their civilization grows. You’re soon given the option to choose a new trait. Traits in C2C have both positive and negative effects by default. These can be altered to pure traits (only positive or negative) at game setup. What you’ll notice is that there are downsides to every one of these so-called “positive” traits. 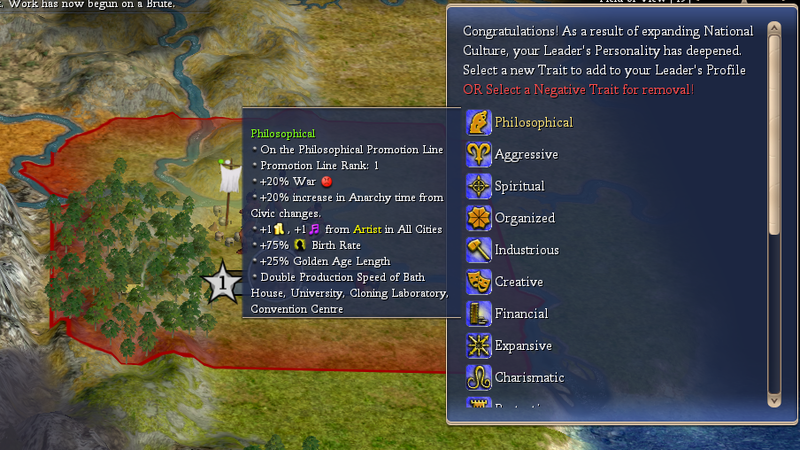 In the screenshot above, we see that the Philosophical trait carries some bonuses such as increased Great Person birth rate and increased Golden Age length, but also carries penalties such as more war unhappiness and increased anarchy lengths between civic changes. As you develop your leader, you’ll have to think more carefully about the traits you choose. Positive traits will be largely beneficial and negative traits largely harmful, but there are some opportunities for synergistic trait choices, which really draws me into this system. You need to pick a negative trait for every two positive traits (or you can skip a positive trait pick to remove a negative one). 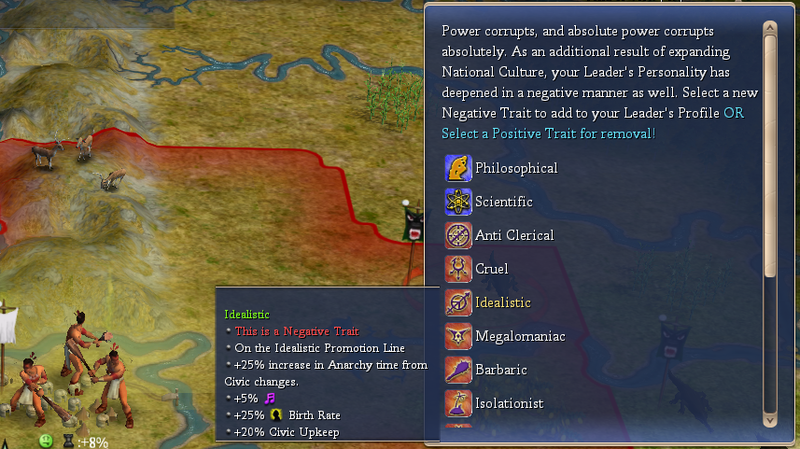 The “Idealistic” negative trait increases anarchy length and civic upkeep, but also increases culture and Great Person birth rate. I ended up picking this to stack the Great Person birth rate on top of my existing positive traits and civics. One of the advantages of the leader development system is that you can choose traits to match the game you’re starting to experience; if you have some aggressive neighbours, it might be worth picking the Protective trait to help you deal with any potential attacks. In a similar vein, the promotions system in C2C has been massively expanded and provides a huge amount of flexibility to deal with the challenges of the day. Some “basic” promotions available on prehistoric units. A lot of these promotions naturally relate to the deeper combat systems that have been added to the mod. They might enable such bonuses as improved combat with animals, improved combat against smaller units, or improved odds to withdraw from a losing battle. The promotions don’t draw my interest as much as other features in C2C, and I often end up choosing generic promotions anyway (generally because I can’t spare the attention for everything else that I want to do in a turn), but I’ve certainly found they can swing engagements in my favour when I have bothered to think a bit about them. An absolutely essential part of the early game in C2C is making sure you hunt animals. The mod has introduced dozens, if not hundreds, of new animal units. The animals spawn not just as solo entities, but will spawn in varying size groups, making them more or less difficult to hunt. (This is the “Size Matters” feature.) They’re also linked to the terrain – deer might spawn on the deer resource. Similarly for bison. You probably won’t find a desert tortoise too far from a desert. This tasty tortoise will provide both food and production to the nearest city when hunted. The prehistoric buildings in the first few thousands of years don’t provide enough food and production to really get your civilization out of first gear. 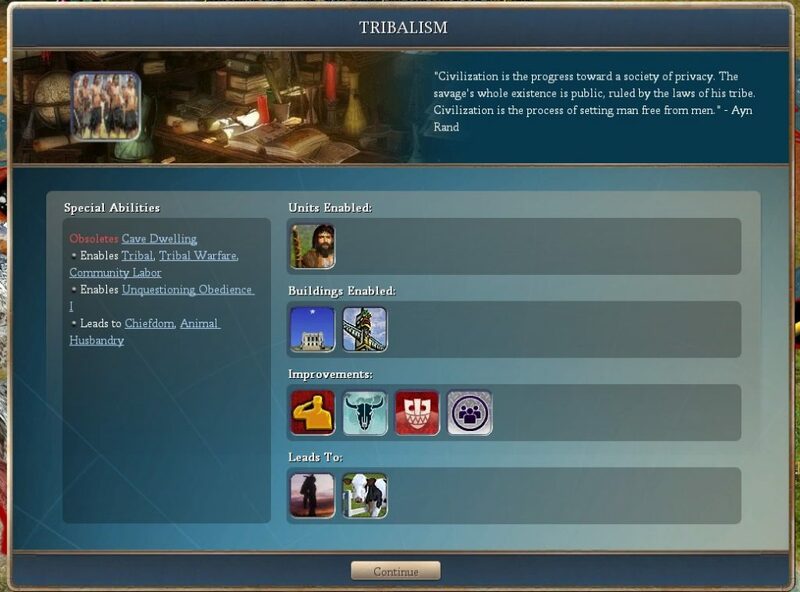 You need to supplement these buildings with hunting; you’ll spend a lot of time building military units, including dedicated hunter-type units, to provide food and production to your first cities. Upon defeating an animal unit in battle, you might end up subduing it rather than butchering it. It can then be brought back to a city and provide some other benefit to the populace – this might be as a military mascot (more experience points for military units) or as inspiration for a myth or story (to provide science, culture, and/or education), for example. Even with sufficient hunting, you’ll find early-game growth to be slow. I was nearly 70 turns in (corresponding to roughly 30,000 years) before my capital city, Poverty Point, reached a population of two. My first few playthroughs of C2C saw me at odds with this system. It is quite a departure from the base game, but once you realise you need to spam hunters in the early game it becomes more than manageable, and actually quite enjoyable. Gaining that first population point feels like a real achievement. Your hunters, set to hunt automatically (there’s a new button for that! ), double as explorers of the harsh world around you; they fare much better in the untamed deserts, forests, and jungles of life BC than other contemporary units, so make sure to capitalise on them. 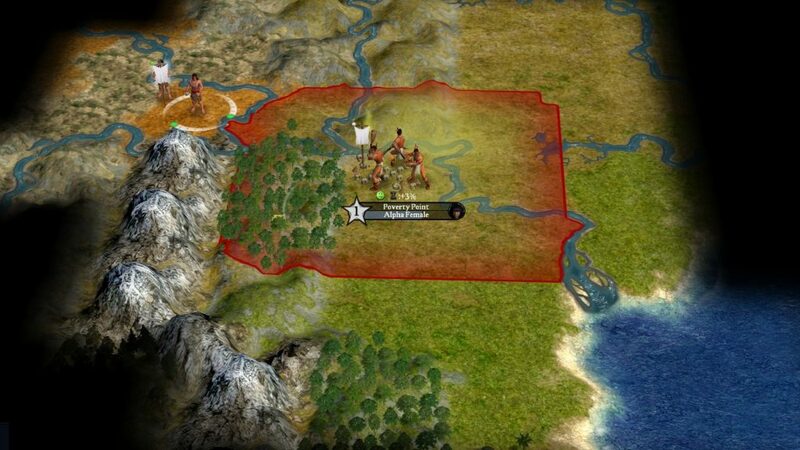 Civ V and VI utilise different border expansion mechanics to their predecessor. In these games, single tiles would be individually acquired as the city’s culture improved. Alternatively, additional tiles could be purchased with gold. 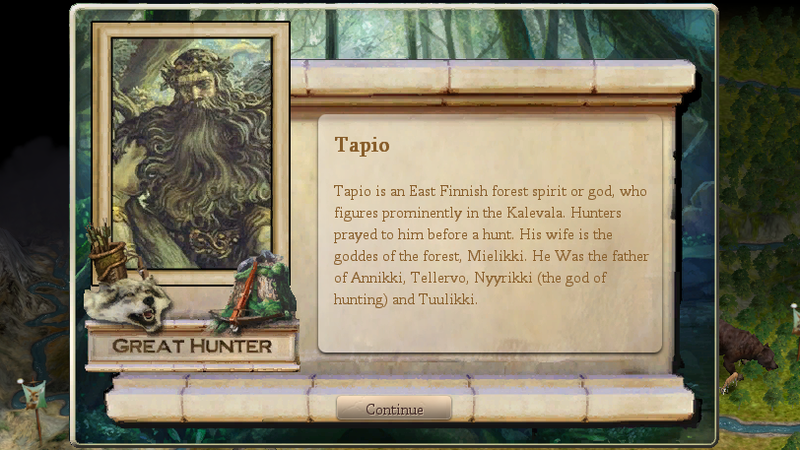 In Civ IV, cities expanded in all directions equally at certain culture “milestones”. 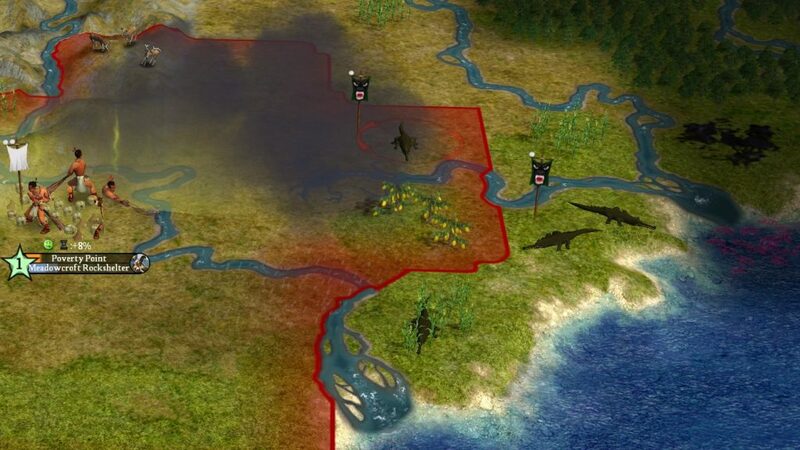 A cornerstone of city location strategy in Civ IV was the “fat cross” representing the city’s workable tiles. One could rely on your city borders adopting a particular shape when its borders first expanded. C2C does away with that with its realistic culture spread mechanic. In C2C, some terrain features (mountains, hills, jungles, forests) slow the spread of culture through them, resulting in borders that more closely follow the map’s geography. This mirrors real-world borders which are often demarcated by mountain ranges, rivers, seas, deserts, and other natural obstacles. My culture spreads more easily over the plains to the east than the hills and mountains in the west. It’s also worth noting that there are buildings that can be built later in the game that expand a city’s workable area up to three tiles out from the city itself (rather than two in vanilla). This storm rolled in off the Atlantic. For me it had little effect, but for a burgeoning naval civilisation it could cause havoc. In case it’s not become obvious yet, this struggle against nature that is captured so excellently in C2C is, for me, one of the biggest draws to the game. Every milestone feels like a real win against the game world, let alone the other civs you’ve got to contend with. Everything feels so much more alive and impactful on your civ’s development, even more than Civ VI which actively set out to address this very issue. New players, not realising that C2C’s game world is much more aggressive than vanilla Civ IV, might get frustrated with this. But set out expecting the world to try to eat you alive and you’ll rise to the challenge, much as our own forebears did. 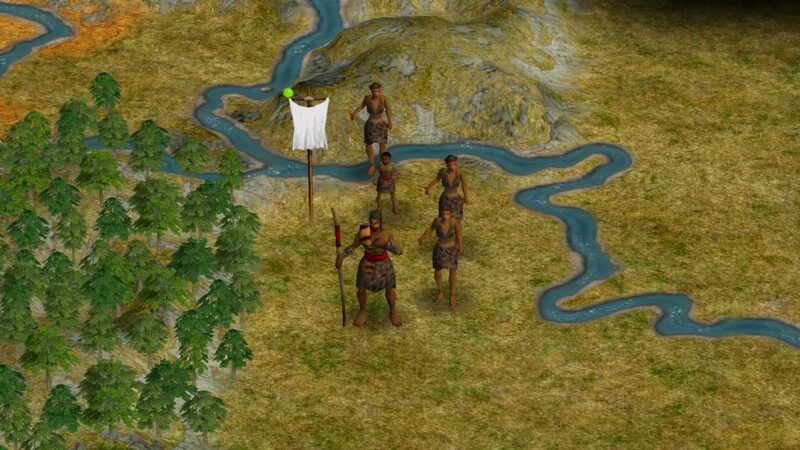 Civilization players are used to balancing a number of numbers in their games; in Civ IV, this might have been adjusting the science, culture, and espionage sliders with respect to gold income, or managing city happiness and health. C2C goes much further and introduces the concept of city properties, which includes disease, crime, education, water pollution, air pollution, and flammability. Let any of these get out of hand and you’ll suffer for it later. Additional city properties introduced by C2C with their associated values and per-turn changes. In this example, disease and crime are both decreasing (good), while education is increasing (also good). These properties have a per-turn change associated with them, which is influenced by buildings in the city or even nearby units (e.g. a healer unit might act to decrease the disease in a city). The properties also have an absolute value associated with them; when the properties acquire a certain value, some special buildings will be automatically built in the city. This might include pests, for example (in the case of a rising disease value), or vigilantes (in the case of a rising crime value). 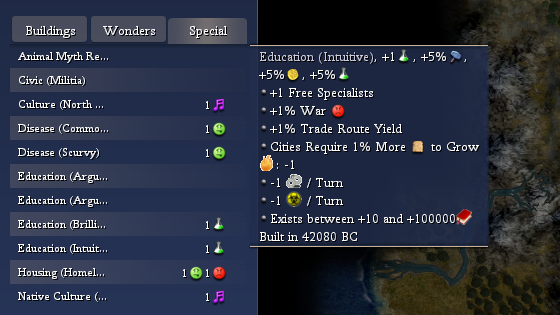 Above an education value of +10, my citizens automatically build the special building “Education (Intuitive)”, which gives many bonuses but also increases war unhappiness and slows growth. I do like this system, but I fear the AI haven’t quite got to grips with it. Thunderbrd tells me this is being addressed, thankfully! 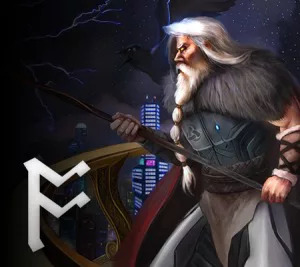 There are lots of additional flourishes included in C2C; so not only have new meaningful mechanics been added, but more quotes (for techs), voiceovers (from the contributors – some British, some Australian, some computer-generated audio), great person descriptions, great person portraits, leader portraits, wonder videos etc. 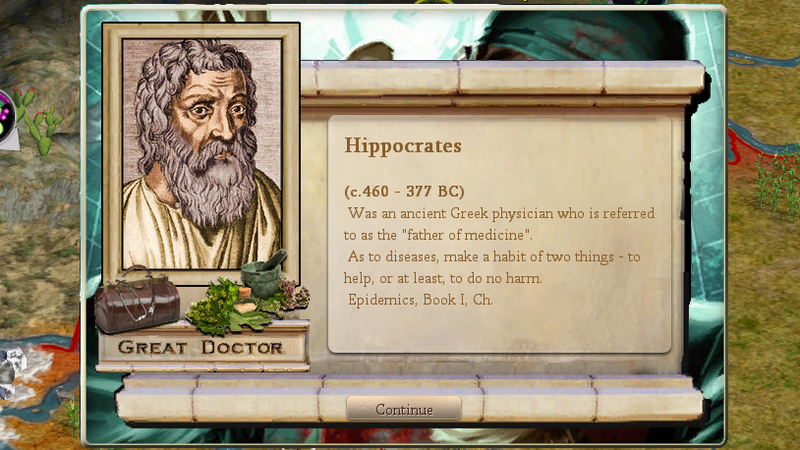 In the Prehistoric Era you’ll hopefully notice the addition of a few more types of great person; most prominently is the Great Hunter and Great Doctor, who have a huge part to play in the early game when it comes to taming beast and disease. I often gloss over the flavour text, but I appreciate that it’s there; it does make the mod feel a lot more polished and goes to show the commitment of the team to fill in these gaps. When I chose a leader for this campaign of world conquest, I noted that there was just a single unique building available to me: “Native Culture (North American) – (Native Culture (Human))”. As you may have guessed, not all leaders have the same Native Culture, with some having “European” or “African”. These “supercultures” define which narrower cultures your empire can develop. Cultures are “buildable” and behave like wonders – only one civilization can build each culture. 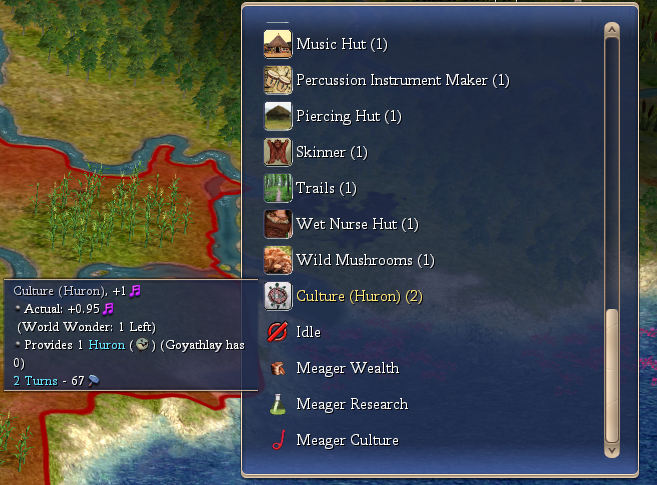 Cultures give you access to unique units and can only be built when the prerequisites have been met, which includes technologies, base culture (as mentioned), and access to particular resources. In the case of TSL Earth maps, this means that cultures get built more-or-less where the real-world culture existed. The first culture I’m able to build is “Huron”. The Huron Nation in the real world developed closer to Lake Ontario than the Gulf of Mexico, but we’ll roll with it. Building cultures can give you a real leg-up militarily, but other than that, I feel they’re being underutilised. Perhaps I’ve missed something, but the cultures could certainly be expanded upon to add more flavour. There’s plenty else on the developers’ plates, so I can let this one slide – it’s certainly a good idea! With relatively lower unit and building costs than the base game, it might be easy (and tempting) to spam Settler units. There are a few things that C2C does to prevent this, one of which is through the use of civics; until you research the “Tribalism” tech, you can’t even build settler-type units. Tribalism is one of those “turning point” technologies that really accelerates your civilisation’s progress to greatness. Having research Tribalism, one can then adopt the “Tribal” civic, which allows settling up to three cities before suffering penalties. If you want a higher limit, you need to research new techs and adopt the new civics. After Tribal comes “Chiefdom”, which allows up to nine cities. This simulates waves of settling and larger empires in line with more advanced social structures, much like what was observed in our own history. In terms of gameplay, I find it helps reign in empire management. Given that you can only expand within certain limits for each civic advancement, it makes you think a little harder about city placement. When you’re finally able to settle more cities, you have a well-developed core around which to expand. You end up with “shells” of decreasing development away from your capital, which sort of simulates the wild/undeveloped frontier that may have existed historically. Casual players may only have dipped in and out of the city management very occasionally. In C2C it becomes a central tool in working with many of the mod’s features. The city management screen in C2C is a lot busier and carries a lot more information. 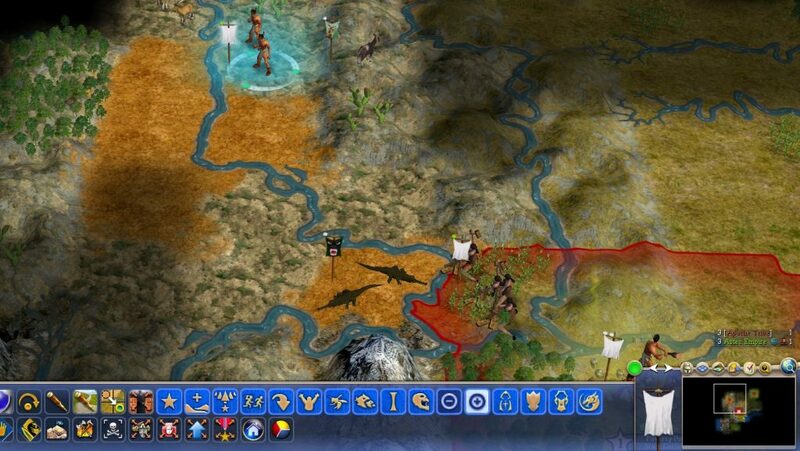 To be quite honest, I rarely go back to vanilla Civ IV any more so I do wonder a little quite what’s changed. Certainly all of the unit filtering tools in the lower half of the screen; one can filter by unit, building, or wonder, and then by function (e.g. 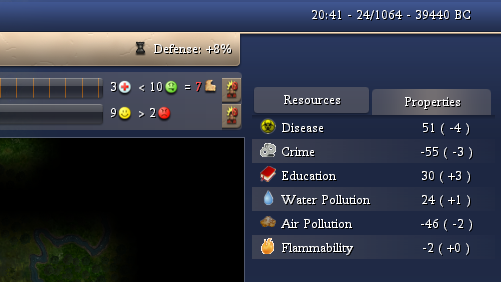 you can select “building” and then “only those that affect production” to get a reduced list of all the buildings that affect production). This becomes vital pretty early because of the massive number of units and buildings available to you. It becomes quite natural to use after a few tries. On this screen you can also track the city properties mentioned earlier and the special buildings produced as a result. This city screen is a little intimidating and it’s easy to overlook important information, particularly the city properties. I would definitely advise spending some time familiarising yourself with it. I consider it a bit of a necessary evil to all of the features that C2C has added. It can be clumsy and obscure, but it does provide you with the information that you need, and the team have really done as much as they can with the tools they’ve been given to make things easier for the player. Fight or Flight: more intricate rules for withdrawal. Size Matters: makes each unit take on a definition for its size, volume, and “combat quality”. Hide and Seek: turns stealth into a skill contest between the one trying to be invisible and those trying to spot them. 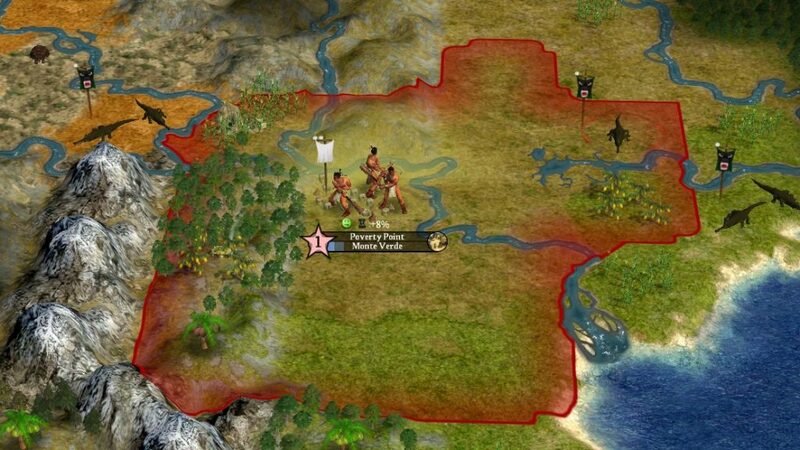 Without Warning: allows units to ambush other units and attack other units on the same tile. Preparing to capture the Aztec capital city. 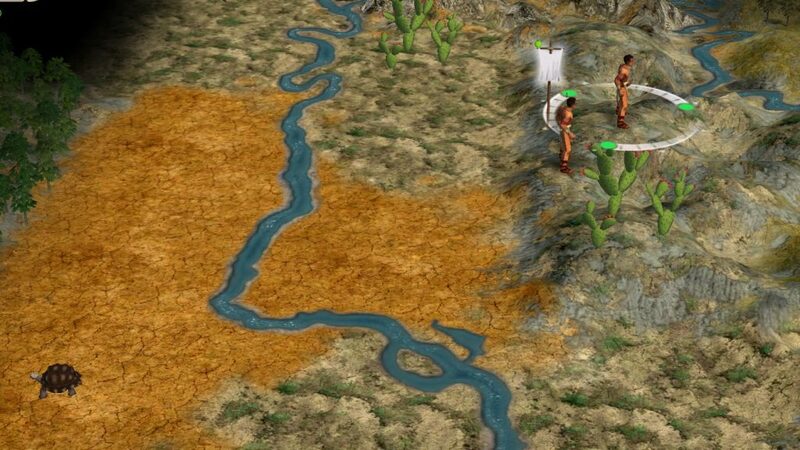 I had to utilise the “Size Matters” mechanics by combining up to three identical units into a larger group, giving me a significant advantage against isolated units in Tenochtitlan. 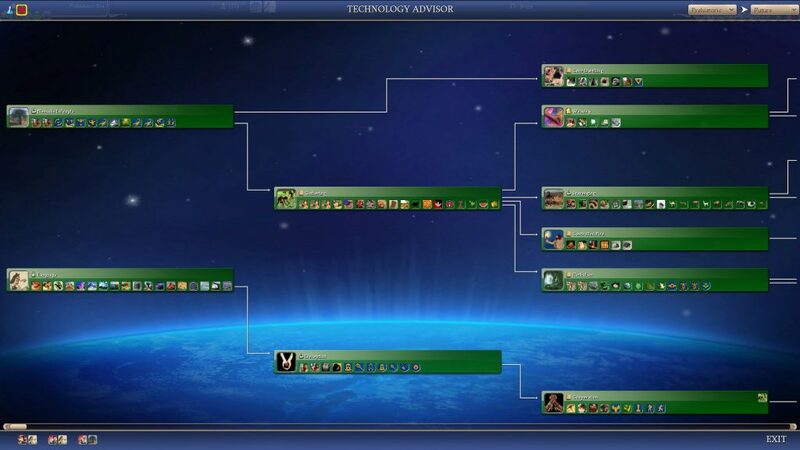 These interacting systems do the job of adding more depth to combat in Civ IV and I know Thunderbrd has gone to some lengths to discourage the “doom stack”. I think, though, that whether or not these changes have their intended effect depends entirely on the player’s priorities; if you dive into these combat features, there are innumerable ways to improve combat odds and you can become a master of tactical battles. Not just that, but you definitely end up with “bands” of units that serve a unique function; for example, I end up patrolling my borders with specialised units (such as spies and canines) to detect any attempts by my neighbours to infiltrate my empire and cause havoc, heavily utilising C2C’s “Hide and Seek” feature. However, if you’d rather get on with the empire management, it’s still pretty easy to build a doom stack and steam-roll your opponent. In this regard, C2C hasn’t lost anything with regards to the base game. Many are critical of the combat system adopted in Civ V and VI, but I quite enjoy the opportunity for out-manoeuvring that it allows, even if it implies armies spread across hundreds of square miles. Only one group of one type of soldiers can fit into a 300 or more square mile area? Give me a break! Talk about a disruption of the suspension of disbelief! This last point is crucial in C2C’s development; it does, after all, intend to mirror reality in many ways. Read on to learn about what’s next in the development of C2C.